Available from solo to quartet. Eriko Ishihara is a Japanese pianist and singer. As a solo pianist she has many resident gigs in the best London hotels, including The Dorchester, Claridge's and The Ritz. She also has duo, trio and quartet formats. Her trio with guitar and double bass is particularly sophisticated, with many Japanese tours on their CV. 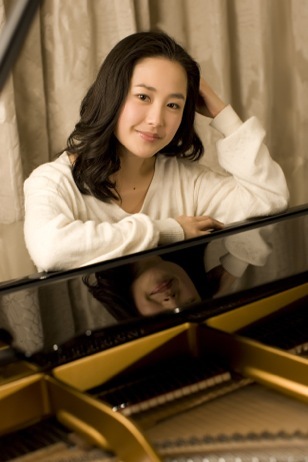 Eriko Ishihara is available as a pianist or as a pianist/singer. She came to England from Japan in 1995 to study at The Guildhall School of Music and decided to settle here with her guitarist husband. Since then she has become a fixture on the London music scene, including 10 years at Claridge’s and a weekly residency at Pizza on the Park. She has regular gigs all over town at hotels and restaurants, and recently headlined at Pizza Express Jazz Club on Dean Street with her trio. She has also toured internationally in Japan, Korea and Hong Kong. As a solo pianist she can accompany dinner and provide the ambience for a drinks reception. Team her up with a bass or sax to add a little extra. Perhaps keep her engaged for the evening too, when she can add a drummer and sing some songs. Every pianist prefers to play a real piano, but if the venue doesn’t have one Eriko can bring her top-notch keyboard.